Frank Body has been around for a while now so I'm super late in the bandwagon and my god do I regret not picking this up earlier. As you know I'm a masters student so I'm doomed to spend summer in my apartment whipping up my thesis (tragic, I know) but that won't stop me from making it feel as summery as possible. 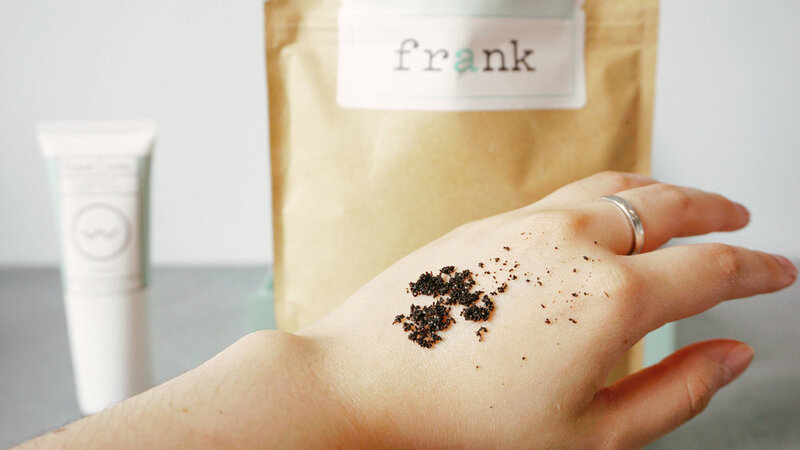 I heard lots of great things about Frank Body's coffee scrubs and have been wanting to buy it for over a year now but just never got to it. I figured it's time to try it out for myself and see what the hype is all about so I bought the Babe Island Kit which included their Coconut Coffee Scrub and Coconut Body Balm in a super cutely boxed set. The set is cheaper than buying the two products separately so if you're wanting to buy it, I'd recommend the sets. Cutting to the chase, I was blown away at how soft my skin felt after using the two together. I'm not even joking! I don't know what it is about the scrub but it just made my skin feel so soft and smooth. I can't say much about the supposed cellulite-reducing action but it definitely made my skin super smooth and yummy. The smell of the product too is something worth dying for. I haven't smelled the rest of the line but if they smell just as good I'm down. They recommend applying two small handfuls of the scrub to wet skin and leaving it on until it dries. I'm impatient and unfortunately don't have a bath I can sit down in so I usually leave it on for about 2-3 minutes and rinse it off then proceeding with a gentle cleanser like Eucerin Body Wash. After the shower, I apply the balm all over my body and let it sink before using any clothes. I find that using Coconut Oil (I use Kopari's Coconut Melt but Vita Coco's Coconut Oil is also great) works just as great but the smell of the Coconut Body Balm is intoxicating! Several things that I don't like is how much product you get and how messy it makes my bathroom. The Body Balm when bought alone costs nearly £20 and only comes with 100ml. Considering this is something you use for your whole body, it's gonna run out pretty quickly, hence why I say you could substitute this with coconut oil instead, especially with coconut oil being the second ingredient after grapeseed oil. The second problem is kind of situational. If you're like me and you have a tiny bathroom the size of a closet without a bathtub, its going to be a problem. Because it's a dry scrub, it tends to go everywhere and make a mess. That said, I'm willing to clean my bathroom more often if it means I could have skin as smooth as this! Would I repurchase? Definitely.